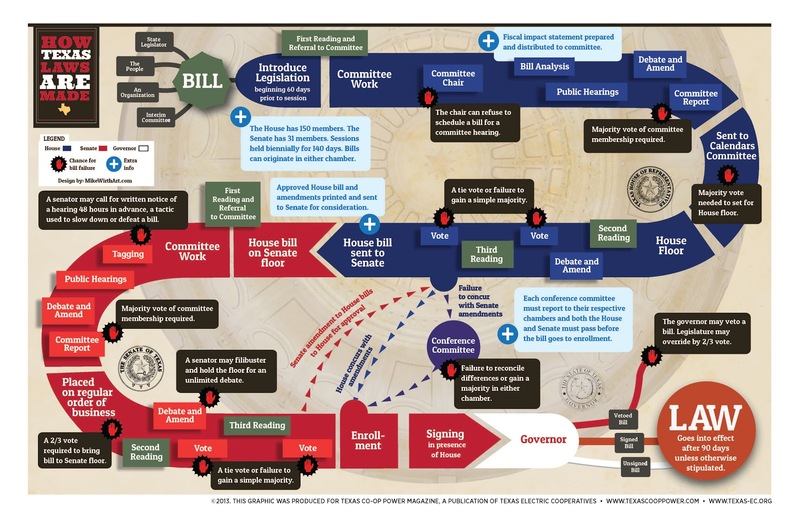 The 86th Texas Legislature convenes on January 8th, 2019, but the pre-filing period began on November 12th. Lawmakers have begun introducing legislation for consideration during the upcoming legislative session. (Learn more about preparing for the session here.) This list will be updated as more legislation is introduced. HB 63 (Rep. Joe Moody) — Relating to the civil and criminal penalties for possession of certain small amounts of marihuana and an exception to prosecution for possession of associated drug paraphernalia; creating a criminal offense. Participate in our action alert for HB 63! SB 156 (Sen. Jose Rodríguez) – Relating to the civil and criminal penalties for possession of certain small amounts of marihuana and an exception to prosecution for possession of associated drug paraphernalia; creating a criminal offense. Please participate in our action alert for SB 156! SB 460 (Sen. Nathan Johnson) – Relating to reducing criminal penalties for possession of marihuana. Please participate in our action alert for SB 460! SB 90 (Sen. Jose Menendez) — Relating to authorizing the possession, use, cultivation, distribution, transportation, and delivery of medical cannabis for medical use by qualifying patients with certain debilitating medical conditions and the licensing of dispensing organizations and testing facilities; authorizing fees. Please participate in our action alert for SB 90! HB 1365 (Rep. Eddie Lucio, III) – Relating to authorizing the possession, use, cultivation, processing, distribution, transportation, and delivery of medical cannabis for medical use by patients with certain debilitating medical conditions and the licensing of dispensing organizations and testing facilities; authorizing a fee. Please participate in our action alert for HB 1365! HB 1325 (Rep. Tracy King) – Relating to the production and regulation of hemp and products made from hemp; requiring authorization to produce hemp; authorizing penalties; authorizing fees. Support hemp bills filed in the House! Support hemp bills filed in the Senate! HB 335 (Rep. Harold Dutton) – Relating to the penalties for possession of one ounce or less of marihuana and eligibility for placement on community supervision or on deferred adjudication community supervision for that offense. HB 371 (Rep. Alma Allen) – Relating to the prosecution of and penalties for possession of one ounce or less of marihuana. HB 753 (Rep. Gene Wu) – Relating to the prosecution of and penalties for possession of 0.35 ounces or less of marihuana. HB 1206 (Rep. Sheryl Cole) – Relating to the prosecution of and penalties for possession of marihuana. HB 1719 (Rep. Senfronia Thompson) – Relating to the penalties for the possession of small amounts of Penalty Group 1 controlled substances and marihuana. HB 2518 (Rep. Steve Toth) – Relating to the penalties for the possession of two ounces or less of marihuana. SB 1479 (Sen. Nathan Johnson) – Relating to the prosecution of, criminal penalties for, and other consequences of possession of one ounce or less of marihuana. SB 1847 (Sen. Borris Miles) – Relating to the prosecution of and penalties for possession of one ounce or less of marihuana. SB 400 (Sen. Royce West) – Relating to authorizing the possession, use, cultivation, distribution, transportation, and delivery of medical cannabis for medical use by patients with certain debilitating medical conditions and terminal illnesses and the licensing of dispensing organizations and cannabis testing facilities; authorizing a fee. HB 1405 (Rep. Shawn Thierry / Rep. Joe Moody) – Relating to the prescription of low-THC cannabis by certain qualified physicians for certain patients diagnosed with a terminal illness. HB 1187 (Rep. Leo Pacheco, Rep. Ryan Guillen) – Relating to prescribing low-THC cannabis to certain patients for compassionate use. HB 1338 (Rep. Leo Pacheco) – Relating to prescribing low-THC cannabis to certain patients for compassionate use. SB 865 (Sen. Kirk Watson) — Relating to authorizing the possession, use, cultivation, distribution, transportation, and delivery of medical cannabis for medical use by patients with certain qualifying medical conditions and the licensing of medical cannabis dispensing organizations; authorizing fees. HB 2563 (Rep. Eddie Lucio, III) — Relating to the establishment and duties of the Texas Medical Cannabis Council. SB 1175 (Sen. Jose Menendez) — Relating to the abuse of a child, termination of the parent-child relationship, and possession of a child by the Department of Family and Protective Services. SB 1416 (Sen. José R. Rodríguez) — Relating to the use of medical cannabis by veterans for post-traumatic stress disorder and the licensing of associated cultivating or dispensing organizations; authorizing fees. HB 3340 (Rep. Julie Johnson) — Relating to authorizing the possession, use, cultivation, distribution, transportation, and delivery of medical cannabis for medical use by patients with post-traumatic stress disorder and the licensing of medical cannabis dispensing organizations; authorizing fees. HB 3703 (Rep. Stephanie Klick) — Relating to the dispensing, administration, and use of low-THC cannabis; authorizing medical cannabis research; authorizing a fee. HB 3826 (Rep. Julie Johnson) — Relating to authorizing the possession, use, cultivation, distribution, transportation, and delivery of medical cannabis for medical use in lieu of an opioid by patients with acute or chronic pain and the licensing of medical cannabis dispensing organizations; authorizing fees. HB 4045 (Rep. Alex Dominguez) — Relating to authorizing the possession, use, cultivation, distribution, transportation, and delivery of medical cannabis for medical use by patients with certain eligible medical conditions and the licensing of dispensing organizations; changing a fee. HB 4097 (Rep. Cesar Blanco) — Relating to the use of medical cannabis by veterans for post-traumatic stress disorder and the licensing of associated cultivating or dispensing organizations; authorizing fees. SB 1837 (Sen. Carol Alvarado) — Relating to authorizing the possession, use, cultivation, distribution, transportation, and delivery of medical cannabis for medical use by patients for whom a physician determines medical use is the best available treatment for the patient’s medical condition or symptoms, and the licensing of medical cannabis dispensing organizations; authorizing fees. SB 2416 (Sen. Donna Campbell) — Relating to the medical use of low-THC cannabis and medical research cannabis. HB 4145 (Rep. Erin Zwiener) — Relating to the prescription of a controlled substance to certain patients for the treatment of pain. HB 1581 (Sen. Royce West) – Relating to the regulation of the cultivation, manufacture, distribution, sale, testing, possession, and use of cannabis and cannabis products; authorizing the imposition of taxes and fees; requiring an occupational license; creating a criminal offense. SB 760 (Sen. Nathan Johnson) – Relating to the prosecution of and criminal penalties for the possession of marihuana concentrate; creating criminal offenses. HB 551 (Rep. Terry Canales) – Relating to the prosecution of and criminal penalties for the possession of marihuana concentrate; creating criminal offenses. HB 1230 (Rep. Alex Dominguez) – Relating to the production and regulation of hemp. HB 1657 (Rep. Roland Gutierrez) – Relating to the production and regulation of hemp. HB 989 (Rep. Ryan Guillen) – Relating to industrial hemp; requiring an occupational license; authorizing fees. SB 1240 (Sen. Charles Perry | Sen. Paul Bettencourt | Sen. Pat Fallon | Sen. Bob Hall | Sen. Juan Hinojosa | Sen. Jose Rodríguez | Sen. Charles Schwertner) – Relating to the production and regulation of hemp; requiring an occupational license; authorizing fees. HB 4276 (Rep. Bill Zedler) – Relating to the legalization of certain cannabidiol. HB 1013 (Rep. James White) – Relating to repealing automatic driver’s license suspensions for certain drug offenses. SB 691 (Sen. Nathan Johnson) – Relating to repealing automatic driver’s license suspensions for certain drug offenses. HB 1196 (Rep. Thresa “Terry” Meza) – Relating to changing statutory references to marihuana to cannabis. HB 1228 (Rep. Matt Shaheen) – Relating to political subdivision regulations, including zoning rules, concerning the cultivation, production, dispensing, or possession of low-THC cannabis. HB 3349 (Rep. John Bucy) – Relating to certain drug tests administered to employees and independent contractors of state agencies and political subdivisions. HB 4040 (Rep. Alex Dominguez) – Relating to eligibility for employment by a dispensing organization licensed under the Texas Compassionate-Use Act based on a criminal history background check. HB 4269 (Rep. Bill Zedler) – Relating to the drug testing of certain persons seeking and receiving financial assistance or supplemental nutrition assistance benefits. HB 4508 (Rep. Eddie Lucio, III) – Relating to exempting CBD oil from the Texas Controlled Substances Act. SB 2253 (Sen. Borris Miles) – Relating to fees on persons who sell or purchase e-cigarettes, vapor products, or cannibidiol products to benefit the designated trauma facility and emergency medical services account; imposing fees; requiring occupational permits. SB 2287 (Sen. Pat Fallon) – Relating to the random drug testing of members of the legislature during a legislative session. SB 2289 (Sen. Pat Fallon) – Relating to the drug testing of certain persons seeking benefits under the Temporary Assistance for Needy Families (TANF) program. SJR 7 (Sen. Jose Rodríguez) – Proposing a constitutional amendment to authorize and regulate the possession, cultivation, and sale of cannabis for medical use. HJR 66 (Rep. Donna Howard) – Proposing a constitutional amendment dedicating the net revenue from any tax on the sale or use of cannabis or marijuana to public education. SJR 8 (Sen. Jose Rodríguez) – Proposing a constitutional amendment to authorize and regulate the possession, cultivation, and sale of cannabis. HJR 108 (Rep. Terry Canales) – Proposing a constitutional amendment to authorize and regulate the possession, cultivation, and sale of cannabis. HJR 17 (Rep. Richard Peña Raymond) – Proposing a constitutional amendment prohibiting the taxation of the sale or use of certain prescription medicine. This section does not prohibit the legislature from imposing a tax on the sale or use of marijuana. Please support our work during this session by becoming a member, making a one time donation or becoming a sustaining donor.